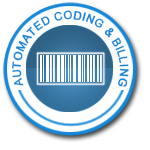 Built-in ‘Claim Cleanser’ technology to correct common coding errors. 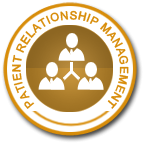 Use one system to simplify the before, during and after patient experience with a simple ecosystem that integrates billing and clearing house services together. Enjoy the benefits of real-time eligibility verification. Avoid timely filing issues – each encounter is matched with a claim. Get paid more, faster with denial management and payment collection tools. All clearing house reports are integrated into the In Touch Biller Pro software. These services are certified by Electronic Healthcare Network Accreditation Commission (EHNAC). You get the protection of the highest level of HIPPA compliance because we have the prestigious Council for Affordable Quality Healthcare (CAQH) CORE II certification to prove it. Electronic connections to thousands of payers. Scrub, submit and automatically batch your claims in the cloud. Upload claims, or enter claims directly, or enjoy automatic transmission (and online editing and resubmission) of claims from In Touch EMR. 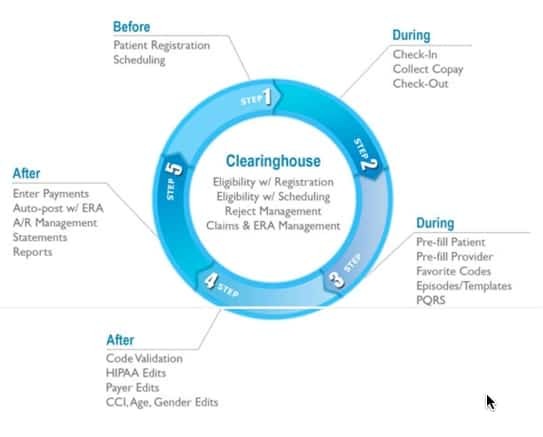 Each year hundreds of millions of dollars worth of medical claims are successfully billed via our clearinghouse partners. 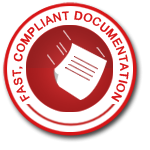 With thousands of built-in edits your first pass acceptance rate typically reach 95% or higher. 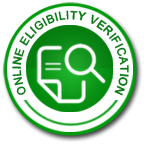 Instant online eligibility verification can save your front desk or biller the trouble of having to make a phone call to verify eligibility in many cases. Work smarter – not harder and stop manually posting remittance advice. Throw away the paper and move to auto-posting with our ERA technology, included for you at no extra cost. No more wading through complex clearinghouse reports. All you need to know about the status of your claims is now available with unprecedented metric analysis.